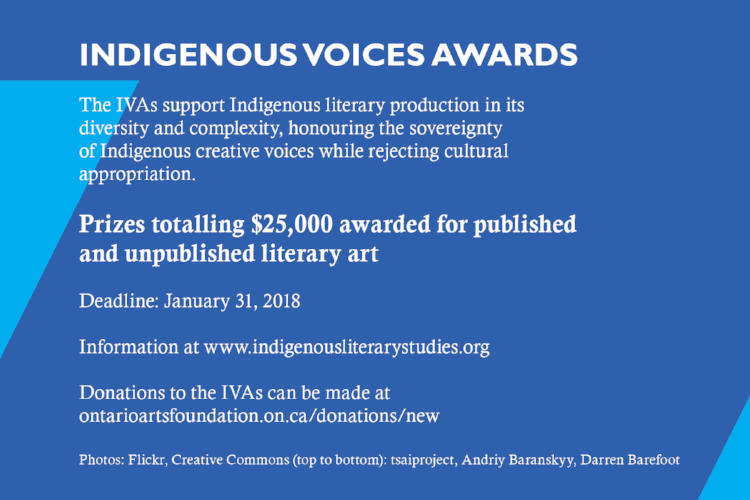 The Indigenous Voices Awards (IVAs) is thrilled to announce the winners in this year’s competition celebrating the very best in literary art by Indigenous writers. At a gala event in Regina, Saskatchewan (oskana kâ-asastêki, Treaty 4 Territory) on May 29th, the IVAs awarded $26,000 in prizes across multiple categories for published and unpublished writing in English, French, and Indigenous languages. The awards were adjudicated by a jury of renowned Indigenous writers and prominent figures from the Canadian literary world including Kateri Akiwenzie-Damm, Virginia Pésémapéo Bordeleau, Shelagh Rogers, Rodney Saint-Éloi, Gregory Scofield, Jean Sioui, and Richard Van Camp.